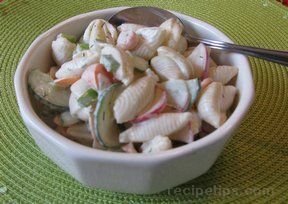 Cook macaroni, rinse w/cold water, add cut up vegetables. Mix dressing in separate bowl, add to noodle mixture and refrigerate. 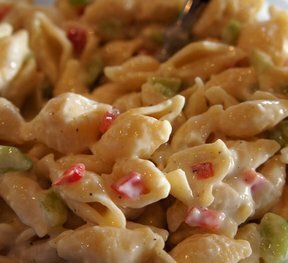 If pasta salad seems dry after refrigerating, add more mayo and some milk to make dressing a creamy consistency.